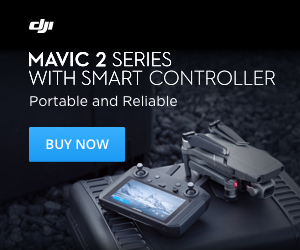 What Are The Best DJI Mavic Air Cases & Backpacks? Incredible drone film shot by Eaglewood Films entitled “Abava Valley”. Check it out below. ​WANT TO MAKE MONEY WITH YOUR DRONE? ​Please check your inbox for a confirmation email from us. ​​If you can't see ​the confirmation email, please check your spam folder. Download our FREE pre-flight checklist! Never forget any of those important pre-flight checks again! Please check your inbox for a confirmation email from us. ​If you can't see the email, please check your spam folder. Is the Logistics Industry Really Ready For Drone Delivery? It's our goal to bring you the most up date and accurate information surrounding the drone industry. Whether you're a first time buyer or a drone enthusiast, our dedicated team of drone experts has you covered. For any more information, do not hesitate to get in touch.